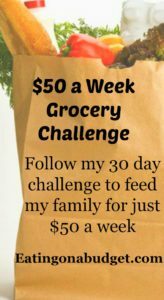 Since today is June 1st I thought it would be the perfect time to challenge myself to spend just $50 a week on groceries this month. My normal budget is $75 (which is about half of what I used to spend) and I am confident that I can slash it even more. Each week I will post my results as well as some menu plans that I came up with and where I shopped. I will also share my grocery lists with you for the week. Today I started by doing some inventory of what I already have. Last month, in spite of my $75 a week budget I was able to buy a few things in bulk like chicken, cheese sticks, toilet paper and paper towels so I wont be needing those items anytime soon. I am also pretty well stocked up rice, pantry staples such as flour, sugar, oil, vinegar and pasta. We are okay on frozen vegetables,canned fruit, pasta sauce, oatmeal, toiletries, dog food and laundry detergent for at least the next week. We are low on eggs, milk, fresh produce and canned vegetables. This 30 day food challenge will also include all meals that are prepared at home. My husband will take his lunch to work. We wont be splurging on any kind of restaurants or takeout, and that includes our favorite summer treat, going out for ice cream. Household items such as paper products, soap and cleaning products are also included in the challenge. 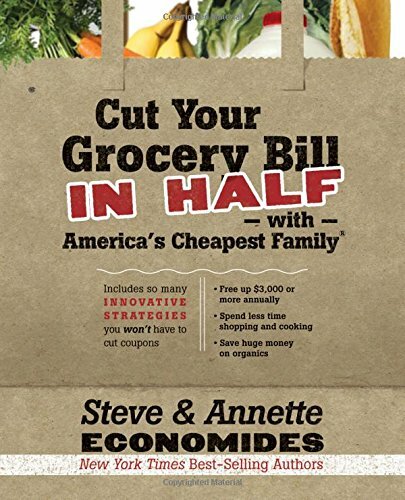 I am really excited to do this challenge and I feel that it is very possible using these six steps to save money on groceries that I talked about in an earlier post. It is a long read but I promise you, it has some great tips for saving money even if you don’t use coupons. 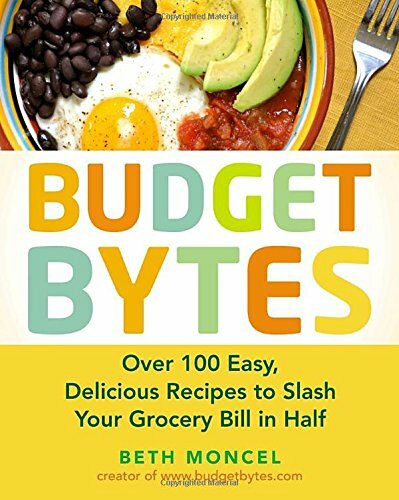 Here are also some good books that I recommend for both slashing your grocery bill and coming up with creative meals on a budget. I feel that this 30 day challenge will give me the opportunity to get creative with different meals and snack options. We already eat meatless about once a week and also have breakfast for dinner on occasion. 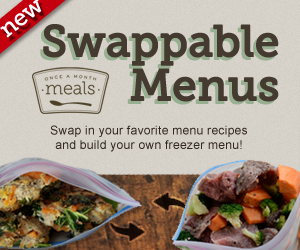 I also want to prove to myself that we can have delicious and hearty meals even on a tight grocery budget. Are you familiar with the term shopping from your pantry? Basically you go as long as you can with minimum shopping to use up items that have been sitting in your freezer and pantry but are still good. I think a lot of us get into food ruts where nothing sounds good so we go to the store or out to eat just because all those pantry and freezer items seems boring. I have a few of these types of items in my freezer and pantry and am looking forward to finding creative ways to use them. I was a single mom of two for about 10 years. Very few of those months did I have money left at the end of the month. Usually it would run out by mid-month, no matter how careful I was. There was never enough. I learned how to use what I had on hand, and also how to put together some very cheap meals. I’m glad those days are over; but, it is good to know I can keep us going if I have to. Best of luck on your challenge!